This Emsco FB-1600 Triplex Mud Pump you are viewing is a Used Mud Pump and located in India. 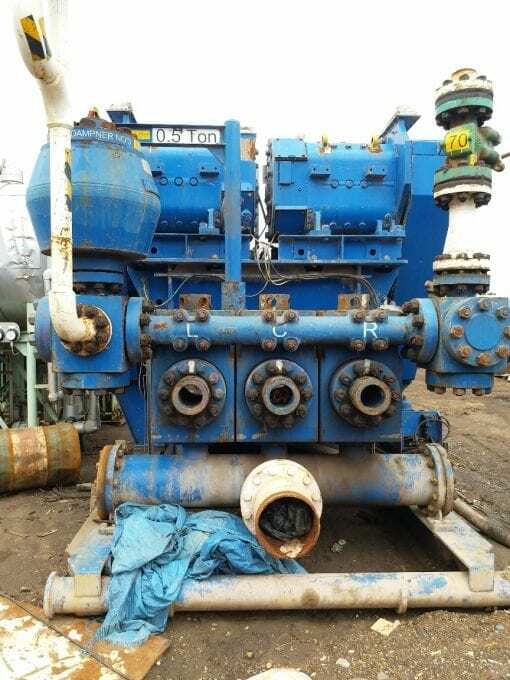 NOV Emsco FB-1600 Triplex Mud Pump are gradually phasing out duplex units. 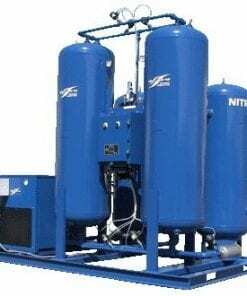 The NOV triplex pumps have three cylinders with single acting. 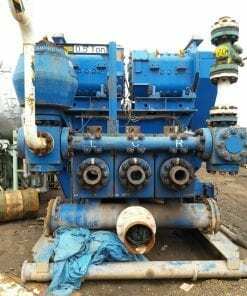 The pistons are moved back and pull in drilling mud through open intake valves. 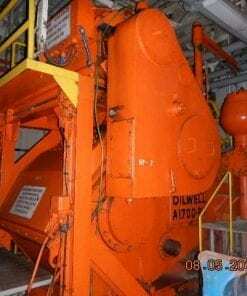 When the pistons are moved forward and the drilling fluid is pushed out through open discharge valves. NOV Emsco FB-1600 Triplex Mud Pump are gradually phasing out duplex units. 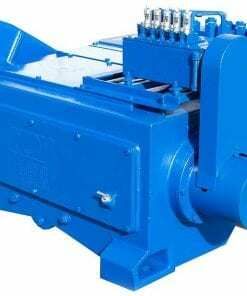 In a triplex pump, the pistons discharge mud only when they move forward in the liner. Then, when they moved back they draw in mud on the same side of the piston. 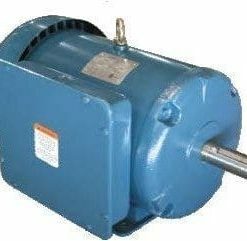 Because of this, they are also called “single acting.” Single acting triplex pumps, pump mud at a relatively high speeds. 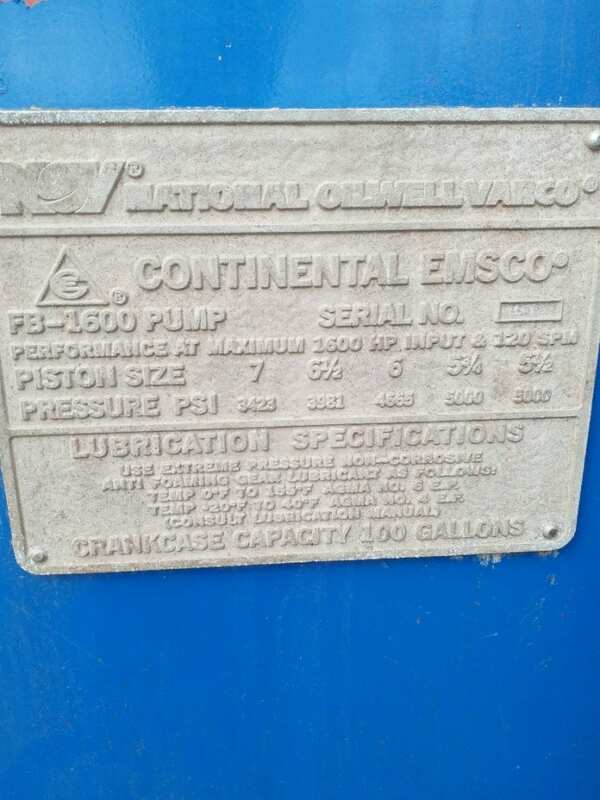 NOV Emsco FB-1600 Triplex Mud Pump has three pistons each moving in its own liner. 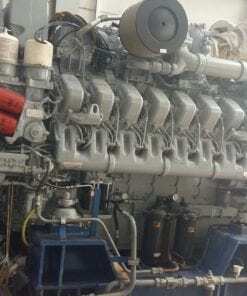 It also has three intake valves and three discharge valves. 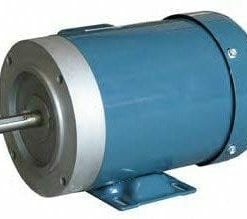 It also has a pulsation dampener in the discharge line. 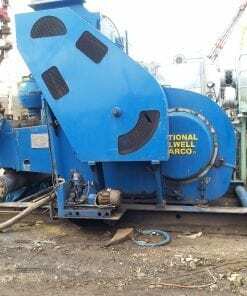 Choose a used Emsco FB-1600 Triplex Mud Pump from our inventory selection and save yourself some money on your next shallow drilling oilfield project. 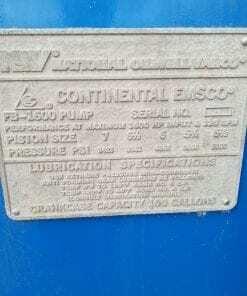 This Emsco FB-1600 Triplex Mud Pump is used and may show some minor wear. 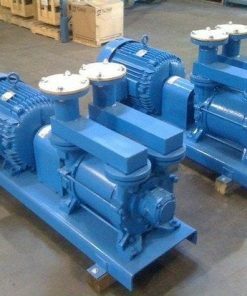 We offer wholesale pricing on new Emsco FB-1600 Triplex Mud Pump and pass the savings on to you. 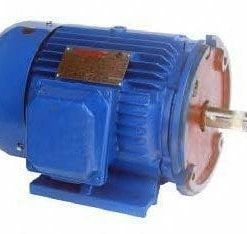 Contact us to compare prices of different brands of Mud Pump. 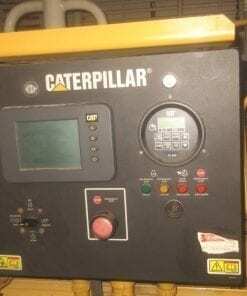 This equipment is brand new and has never been used. Our large network often has surplus Emsco FB-1600 Triplex Mud Pump that go unused from a surplus purchase or a project that was not completed. 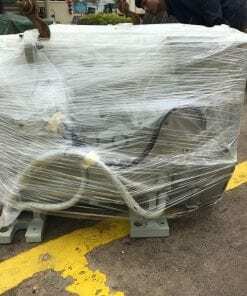 Contact us to see what Emsco FB-1600 Triplex Mud Pump we have in inventory. 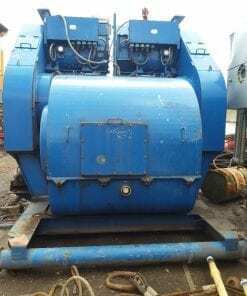 The surplus Emsco FB-1600 Triplex Mud Pump are considered new but may have some weathering depending on where it was stored. 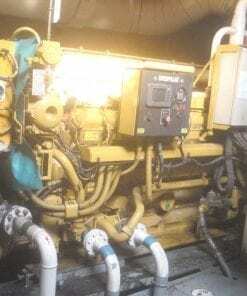 Surplus oilfield equipment is usually stored at a yard or warehouse. 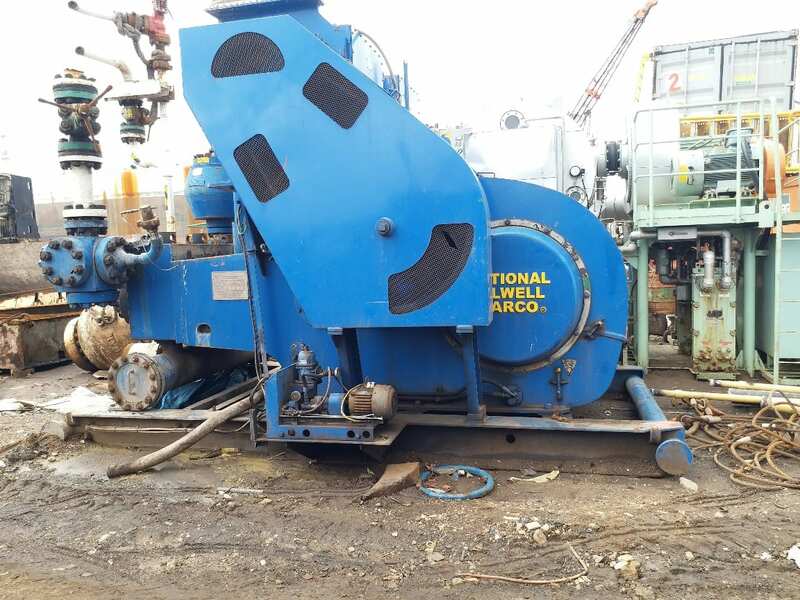 We have refurbished Mud Pump that have been used and brought up to functional standards. 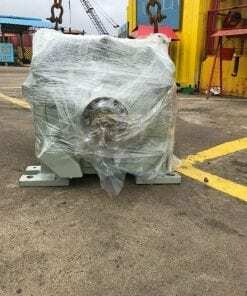 It is considered a ready to use, working Mud Pump. 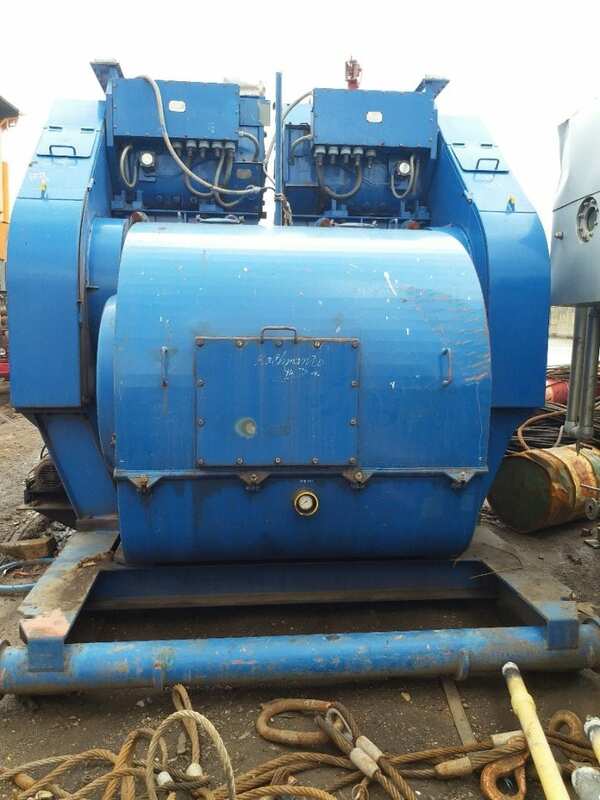 Please contact us for more information about our refurbished Emsco FB-1600 Triplex Mud Pump. 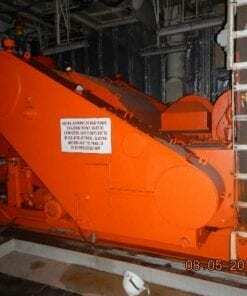 These Mud Pump have been used and brought up to functional standards. 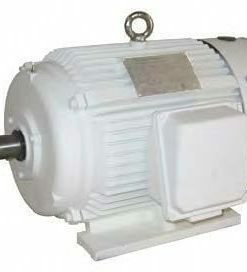 It is considered a working Mud Pump. 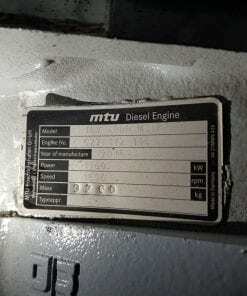 Please contact us for more information about the product.